Hinduism gives paramount importance to spiritual gurus. 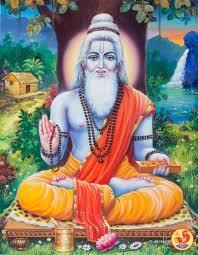 Guru is equated with God and always regarded as a link between the aspirant and the Almighty. The full moon day in the Hindu month of Ashad (July-August) is observed as the auspicious day of Guru Purnima, a day sacred to the memory of the great sage Vyasa. All Hindus are indebted to this ancient saint who classified the four Vedas, wrote the 18 Puranas, the Mahabharata, the Srimad Bhagavata and Brahma Sutras. At present time Sri Ramakrishna, who is known as Guru Maharaj among his devotees and followers, is worshiped as Universal Guru all over the world. Guru Purnima is celebrated in Ramakrishna order centres in all over the world. Below are some of the scenes seen today at Belur Math . Guru Purnima is also celebrated by Buddhists in the honor of Gautama Buddha to commemorate the day when Buddha gave his first sermon at Sarnath, Uttar Pradesh, India.